First off, it has 10 speakers (supposedly) although I have only seen 8 discussed in the forum I belong to. Maybe I was wrong about the subwoofer, because no one had mentioned it. It sure sounds like there’s one, though! (Tony: Valery, can you help?) The only major difference I remember from my first M3 without the upgrade, is the speakers in the front kick panels (granted it’s been 2 and a half years since that car, but I don’t remember any speakers down there), the HIFI switch that turns on an amplifier located in the left side of the trunk, next to the shock tower, and the different speakers with Harmon Kardon (HK) on the speaker shield. The biggest problem with them is that the mid-range speakers in the front doors are prone to self-destruction at relatively low volume levels. paroxetine tablets buy, acquire clomid. 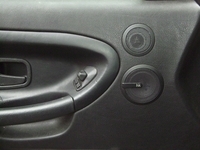 The largest contributing factor is the automatic volume adjustment as the car gains speed (Tony: Wow! that’s a cool feature, isn’t it?). I blew my own that way! Adjust the volume level in the driveway, make it onto the freeway, and KA-POP! BTW, if you have that annoying feature, I just learned how to fix it while I was researching the Harmon Kardon (HK) stereo. First, you start with the stereo off. Turn it on, and hold the "m" button for approx. 10 sec. The serial # of the radio should appear on the screen. Once it does, use the + and – buttons until you see GAL 1-6 . Then use the < and > buttons to adjust it up or down. 1 is the lowest change, and 6 vice versa. I believe that should also work on British BMW’s as well, even though it was explained for an American M3. This entry was posted on Tuesday, April 29th, 2008 at 3:26 pm and is filed under Audio, Technical Info, Tips & Tricks, Uncategorized. You can follow any responses to this entry through the RSS 2.0 feed. You can leave a response, or trackback from your own site. 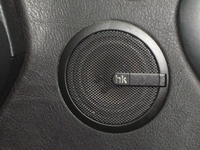 New midranges can be had from Bavarian Soundwerks in the US but their installation has you glue them into the old speaker’s mountings. Nice speakers but my hot glue joints keep coming undone. 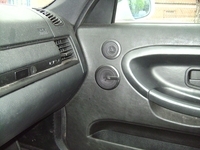 10 speakers – High, mid, low on front left and right; rear shelf has two on each side for low and mid/high – they are behind the same grille. Just for the record of correctness, the HiFi Switch is not an amp on/off switch. The amp is always on when the head unit it turned on. 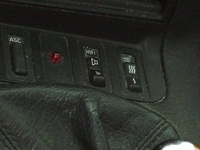 The Hi-Fi switch act like a “spatial” switch. In my vert, in which I recently retrofitted the H/K system + non-vert specific HiFi switch you can clearly here teh soundstage getting more rear-biased with the switch set to the “High” position. For speed-sensitive volume, the “hidden” menu ask mentioned here, I thought that was only available on the later CD43 unit. Anyways, on that same unit, Speed Sensitive Volume is (also) a normal option as it’s the last menu item from the Bass/Treble/Balance/Fader menu. Or disconnect the white/black wire that is the speed signal wire (this on also goes to the OBC where on secret menu #8 will give you a digital speed readout in KM/H.